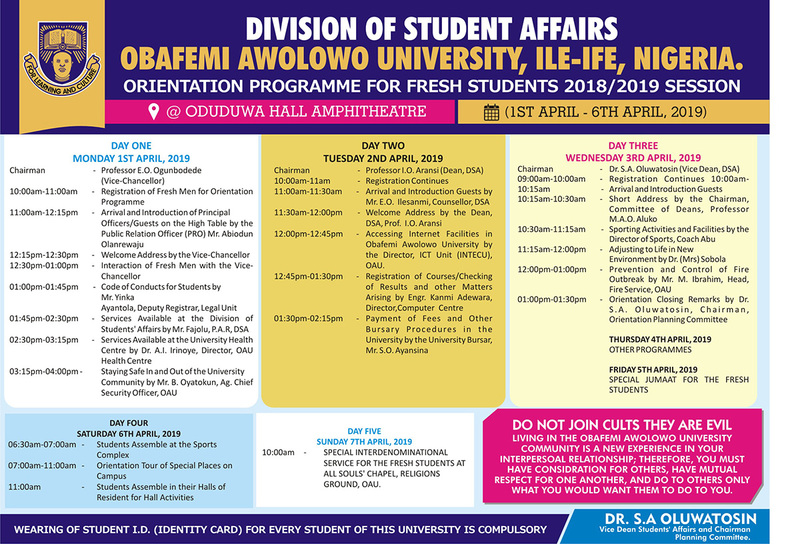 Obafemi Awolowo University (OAU) Orientation Programme Dates, Time and Venue for Fresh/Newly Admitted Students for 2018/2019 Academic Session. 12:00pm-12:45pm - Accessing Internet Facilities in Obafemi Awolowo University by the Director, ICT Unit (INTECU), OAU. 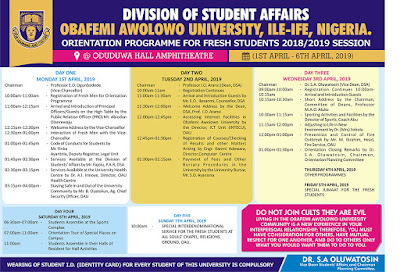 10:00am - SPECIAL INTERDENOMINATIONAL SERVICE FOR THE FRESH STUDENTS AT ALL SOULS' CHAPEL RELIGIONS GROUND, OAU.